Elix is a super PSD template for Designers, Artists, Freelancers and for all other agencies. The template is perfect to showcase your projects or work in the best light. 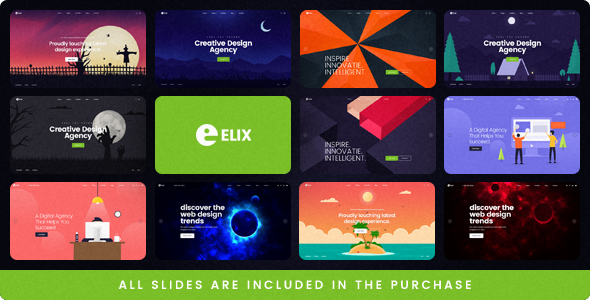 Elix template have 11 custom slides which is included in the purchase and they all are fully editable, you can easily change all of them to fit your needs.